Simply put, you can think of your computer’s IP address as a virtual residential address — one that can be changed if necessary How to View & Change Your IP Address in Windows 7, 8, and 10 How to View & Change Your IP Address in Windows 7, 8, and 10 You can use your computer without even knowing your own IP address, but would you like to know how to check? Here's how to quickly check or change your IP address in Windows. Read More . In real terms, an IP address serves two primary purposes: network interface identification and location addressing. Maybe you need to know your computer’s IP address, whether because you’re having internet connectivity issues, or you’re trying to set up a home theater app like Plex, or some other reason. There are two ways to see your IP address on Windows. 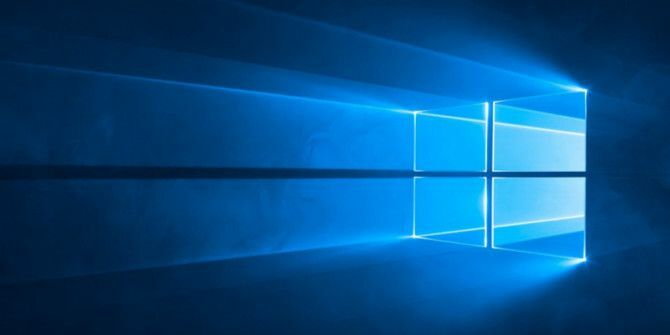 You can either use the Settings app or go poking around in the Command Prompt How to Master the Command Prompt in Windows 10 How to Master the Command Prompt in Windows 10 This article makes the Windows 10 Command Prompt approachable and way more useful. Learn how to run multiple commands, get help on any command, and more. Read More . Keep reading to find out how to find your IP address on Windows. In the left-hand panel, choose either Wi-Fi or Ethernet, depending on what type of connection you use. Click on your network or connection name. Scroll down to IPv4 address. The number you see is your IP address. Type cmd and click on Command Prompt. Locate either Autoconfiguration IPv4 Address (Ethernet) or IPv4 Address (Wi-Fi). Which method do you prefer? You can let us know in the comments section below. You should change the title to " How to Find Your Local IP Address on Windows 10 "